I thought id share with you what i did to get my hair from brown to blonde as Ive had a few questions and to help anyone who's wanting to do the same :). I seem to do this every year....as soon as the sun come out i want my blonde hair back! After been blonde for so many years i feel more myself when its blonde makes me feel happier and brighter :/ weird? 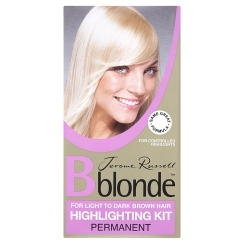 First of i picked up two packs of Bblonde from Boots( there on offer right now 2 for £9). I got on the highlighting kit as that one had a cap in. I pulled my hair through every hole (by myself, yes even the back... with the help of a mirror). As my hair is long i used both packs. Surprisingly i didn't have to leave it on long at all! maybe 15minutes which to say my hair was super dark and it didn't turn out orange is fast! I think its because i had two lots on. Then i decided i wanted a few more blonde bits in as as i was happy with the colour is had turned out ( not orange) i decided to do it again. I left it around a week maybe a bit longer as i just couldn't be bothered to sit and putt hair through the cap again, but i still had a box of the Bblonde left from last year so this time i put put on the one box which did take a little longer to take as there was less product on alot of hair but it turned out ok :). Before i put any bleach on my hair at all i made sure i had a toning shampoo in case there was an orangey look left in my hair. As i did it at night and shops where shut i had to relay on Asda, the only one they had in was this John Frieda sheer blonde tone correcting. Which i was happy with until i could get to Boots and get some of the trust Lee Stafford products which i loveeee! (if you have dark hair go get the Lee stafford Shapoo/conditioner for brunettes its amazinggggg!). I only used the John Frieda once so carnt really give a review on if it works well. 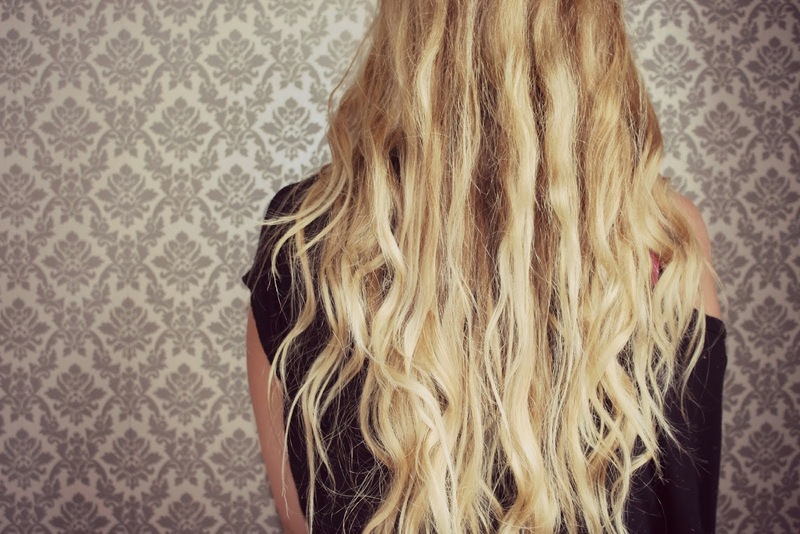 Since the first was i have been using the Lee Stafford Bleach blondes s/c. Really like it so far and im pretty sure il carry on useing it....actually no id deffinitly sure. I just need to go pick up his regular shampoo for blondes and your only supose to use the toning ones every few washes. I have also used one of the Lee stafford Hot Shots 4 Blondes which is another toning treatment to get rid of and brassy,yellow tones. You get three in a pack for around £7, as you can see ive only used one so far but this again is something that only needs to be used once a week or every so often if you feel your hair needs it. *I wasnt paid to mention any products, i paid for everything myself and im not in any contact with any companys. Your hair looks great! I've been using the John frieda shampoo and conditioner for a while, but I might give the Lee Stafford stuff a go next time. All haircare is 3for2 in Boots just now if you are needing more things! ohh thanks def need to get to boots and pick up some more bits! I'm also in process of lightening my hair with TONY&GUY products, hopefully I will start seeing results very soon! wow I LOVE the colour on you! Looks lovely - you did a great job! Turned out fab? So is the bblonde stuff peroxide/bleach? The second time you done it, did you say u used the cap or didnt?